Wedding Welcome Bags for out of town guests are a final detail usually passed onto someone in the family or wedding party and let's face it - haven't they already done enough? Researching, purchasing, packing and wrapping all just days before the wedding... what's a fabulous bride to do? They find Sara's Gracious Goodies! This gem of a company specializes in Welcome Packages combining some of the best local goodies NY has to offer. Sara herself has cleverly hand-picked a range of premium products, bringing a little more of a high end quality & representation to the classic hotel guest bag. 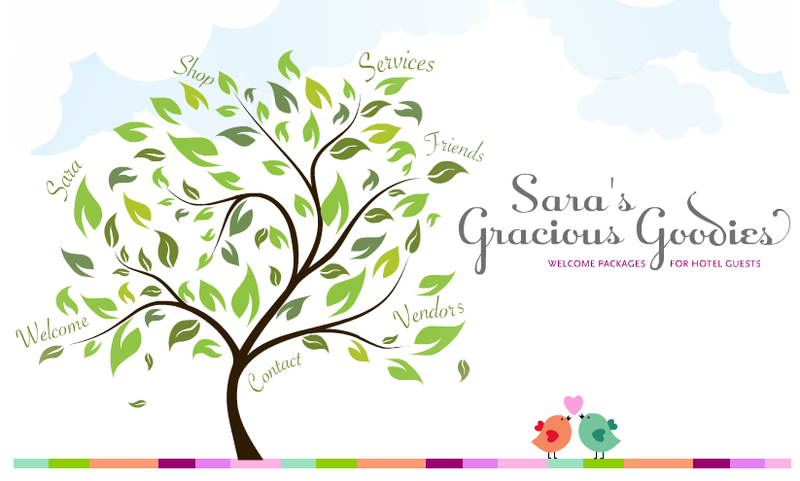 You can pick from several different packages or Sara will work with you directly to customize your own. Packaging options range for beautiful gift wrapped boxes, to Map inspired Tote Bags, or Green minded reusable nylon bags in nearly any shade. Best part - they provide Local Hand Delivery to each hotel - saving you precious time on the days leading up to the big event. What better way to welcome your guests in style without having to step foot out the door. Check them out here for all the details, and trust me it's a good thing! Images via Sara's Gracious Goodies. Ooo I love his great idea! So unique and I have no doubt that it would make my family a little happier about making the trip! ADORABLE and CUTE!! I'd be happy with those tote bags and goodies. These are cute... OOT bags are DEFINITELY worth doing when guests have to travel thoug, it makes them feel more appreciated.